Good Morning from Houston. Well, you have probably heard we have had MAJOR flooding in our city from Hurricane Harvey. Once I arrived home Friday, I chose to stay put and catch up on blog work, house cleaning, and book reading until everything was clear. While I was prepared for a flooding event and being cooped up all weekend, I don’t think I was really prepared for what would happen over the next few days. I am extremely blessed to be sitting in a dry home with a street that so far has only filled with water twice overnight before receding during the day. Most of the city is or was under water at some point. Businesses were shut down on Monday and many still today, and school districts have canceled school for the week. Both of our major airports have shut down completely. Some Houstonians had to be rescued from their homes by boat or a Coast Guard helicopter, the national guard is here helping with rescues. It’s heartbreaking to watch the news right now, and it’s still raining! I will say it has been heartwarming to see our city and state come together to help each other out. People pulling out their boats to help with rescues, opening up homes to friends and even strangers needing to evacuate, and checking in on neighbors. They are calling it one of the worst floods in Houston history, but I know my city. We will come back, we will clean up, rebuild, and support each other all along the way. We have survived hurricanes before and we will do it again. 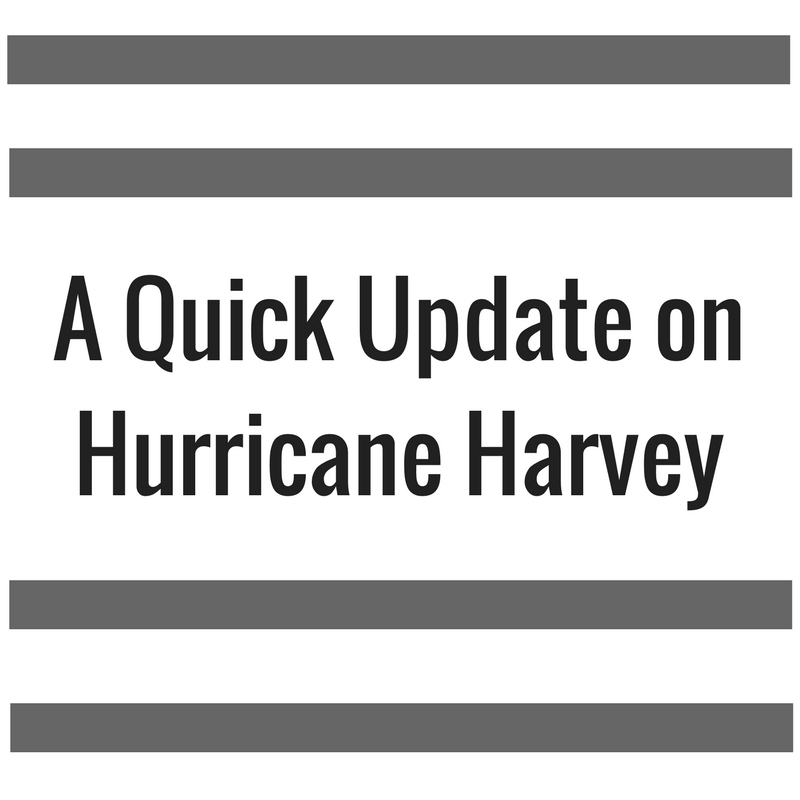 If you would like to donate to Hurricane Harvey recovery for Houston and all cities affected especially those near Corpus Christi where the hurricane made landfall, please donate to the Red Cross. The Houston Mayor also set up a donation site to help support Houston after the storm, you can donate here. To find more ways to help out, I found a list with a variety of options here too. Thank you for your thoughts and your prayers for all of us on the Gulf Coast! Yesterday, I decided to peruse a few online sales, and I wanted to share a few with you. Right now, many stores are having end of summer sales by marking down items already on clearance to make way for the new fall and winter items. It’s a great time to stock up on summer items like swimsuits, sandals, and tank tops. I like to look for work out clothes and good basics like tees, shorts, and solid dresses. Items that I can wear next spring and summer, not too trendy in case that trend fades away. Being in Texas it will still be hot in September and part of October, so some of these items I can still wear for a bit. I listed a few of my faves from some of the sales too. Ya’ll have a good rest of your weekend, and I will see you back here on Tuesday for the Style File Link Up! 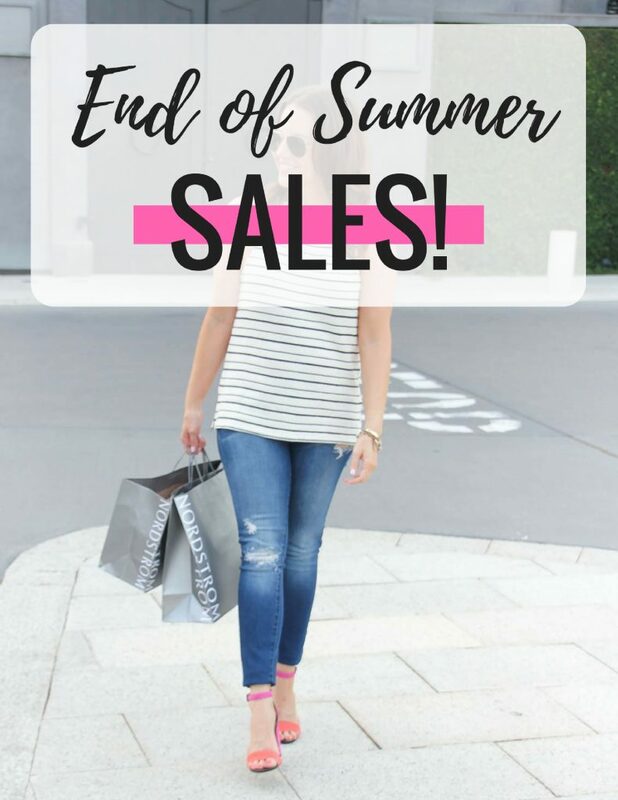 NORDSTROM – Lots of markdowns on summer items, and a few on items you’ll need for fall! Hello friends! It has been a busy few days here in Houston. Everyone is preparing for Hurricane Harvey to drench pretty much the entire Texas coast starting today and going through mid next week. We’ve been prepping for a long weekend indoors. Fingers crossed, we don’t lose power because that always makes the situation more difficult. Anyway enough weather talk, let’s talk about this outfit – mainly this super adorable necklace. I have been seeking out a few more turquoise jewelry pieces lately. This ring is high on my wish list! For me, turquoise jewelry adds that casual boho vibe to any outfit. This one is a pre-layered y choker necklace, so you just clasp at the back and have gorgeous necklace layers. The y dips low, so you add this to a deeper vneck to add a little sexiness to any outfit. You can also pair it with a crew neck tee and let all the layers fall on top the tee. I loved the turquoise mixed with the purple of this tank. I think the colors compliment each other well. I saw this tank is currently sold out in this color. A few more color options were available, but going fast. I’m really hoping they bring it back in a few fall colors like olive, because it’s perfect for layering. Alright you guys, thanks for stopping by the blog today. If you are in Houston or Texas, please stay safe and dry. Pending I don’t lose power, I will see you guys back here next week! Hi! I hope you all had a good weekend! I purchased this burgundy floral blouse during the Nordstrom Anniversary Sale, because I felt it had some good versatility to it. It’s lightweight so seasonally it can work in hot summer weather, but the the colors are perfect for fall. Also Texas fall is still warm, so the lightweight aspect helps there too. I also love the kind of boxier design of the top to perfectly pair with my black skinny jeans and heels for a dressier weekend outfit. 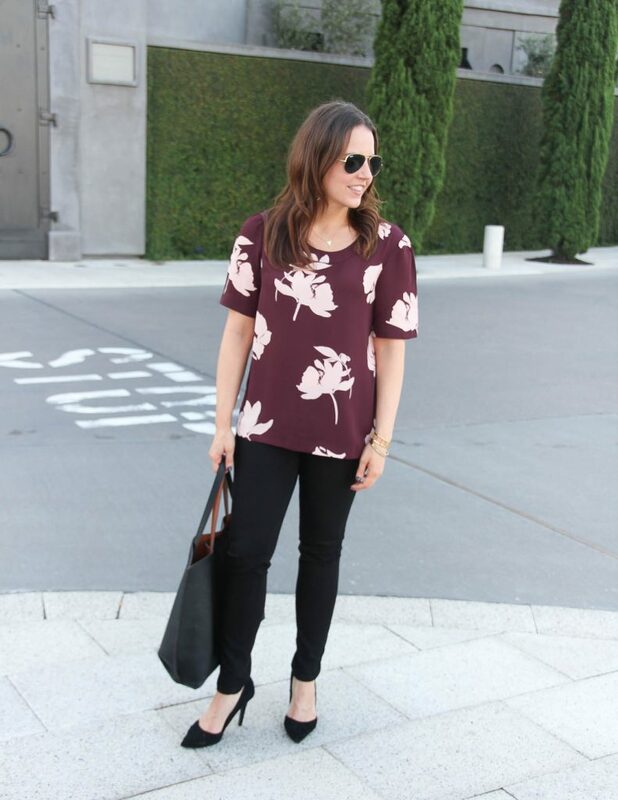 For a super similar work version of this outfit, you can pair this top with black skinny slacks like my go to pair. I actually wore that look to work recently. You can also tuck this top into a pencil skirt for an additional work look. I also really want to pair this top with gray jeans for another casual look. The back of this top has a cute little v cutout detail, and you can still wear a regular bra with it. I think it’s a cute detail if you want to wear your hair up. Also, this top also comes in black if you need a really good basic black top for work. Alright ya’ll it’s Style File Link Up Day so keep scrolling for more outfit inspiration, and thanks for swinging by today!